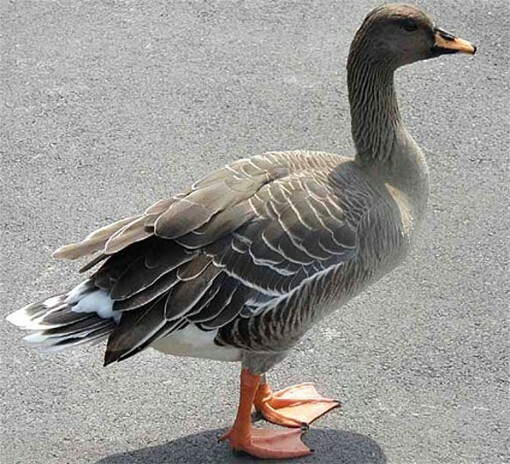 Goose (genus Anser; Ukrainian: гуска; huska). 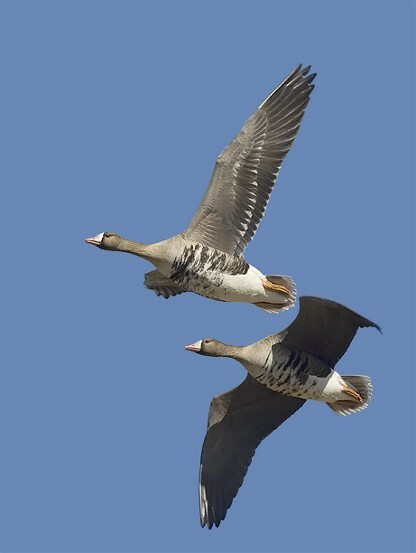 Order Anseriformes, family Anatidae. 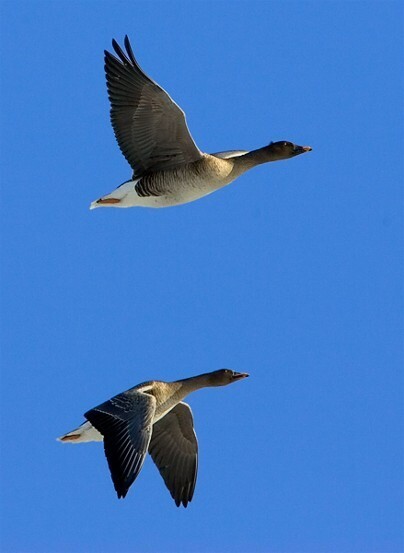 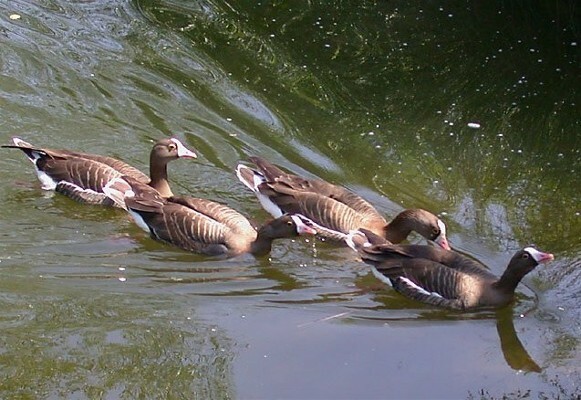 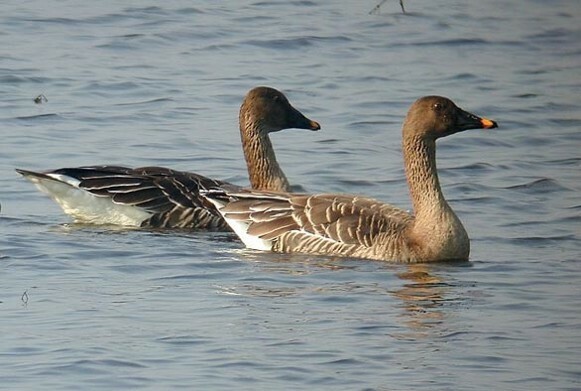 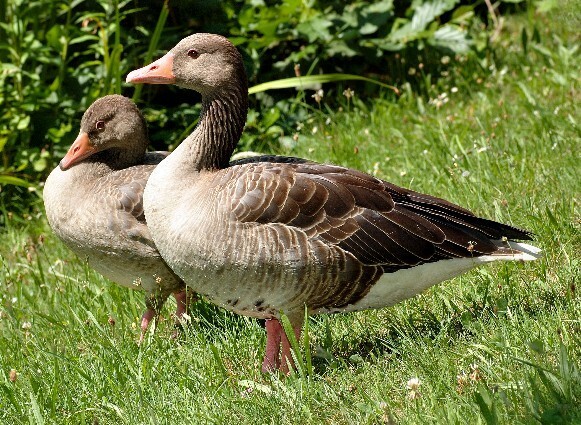 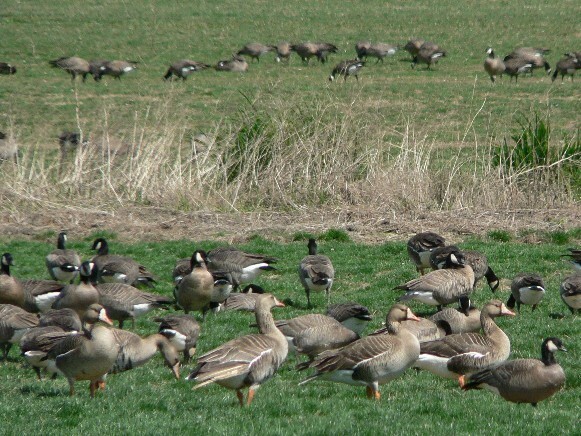 Although all four species in the genus Anser (‘true’ geese) are found in Ukraine, only Anser anser (synonym: Anser cinereus; common: grey or greylag goose; Ukrainian: sira huska) and Anser fabalis (bean goose; Ukrainian: humennyk) breed there. 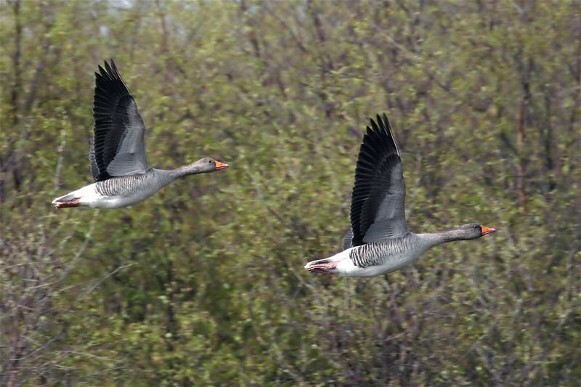 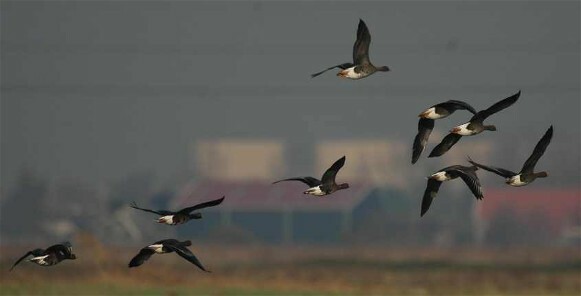 Anser albifrons (syn: Anser casarca; white-fronted goose; Ukrainian: biloloba huska or kozarka) and Anser erythropus (lesser white-fronted goose, squeaking goose; Ukrainian: piskulka, mala kozarka) migrate through Ukraine (see Migratory birds); in warm years small numbers of both species winter on the Black Sea coast and in the Crimea. 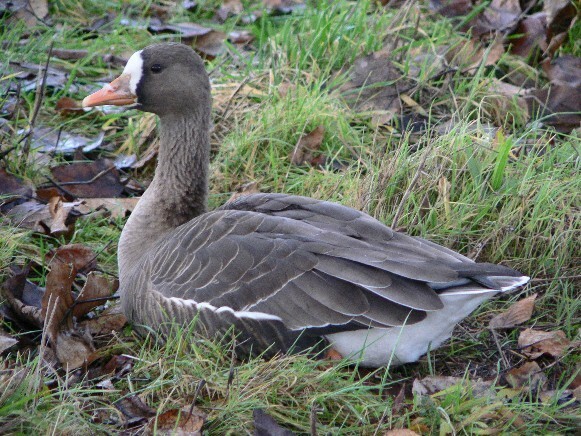 Domesticated goose, A. anser domesticus, was derived from the native gray goose, and is an important commercial food source because of its efficient and fast growth rate. 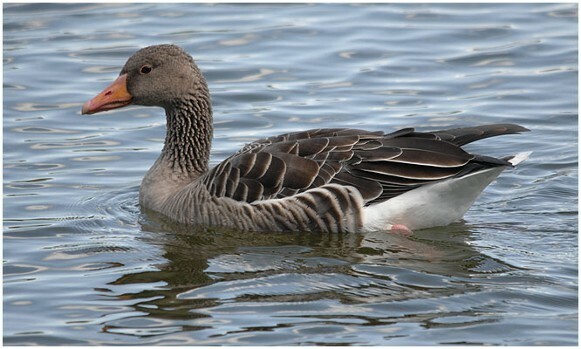 The best-known breeds of domesticated goose in Ukraine include the Toulouse, Emden, Great Gray, Camomile, Kholmohory, Pereiaslav, Romny goose, and West Ukrainian breeds.